Five PwC people are getting ready to compete in the world's biggest sporting event. • Jenna Hansen, PwC New Zealand: sailing. Says Jenna: "The day that we were announced in the New Zealand Olympic Team will always be a special day. There were feelings of relief, honour, anxiety and pure happiness. What motivates me to train for and compete in the Olympics? The desire to fulfil my potential. Every day I aim to get one step closer to being my best. I am not going to the Olympics to participate; I am going there to compete!" • Caitriona Jennings, PwC Ireland: marathon running. Caitriona is one of three marathon runners selected to represent Ireland at the 2012 London Olympic Games. With the Irish firm since 2001, Caitriona is a senior manager in the financial services tax practice. Says Caitriona: "When I heard the news that I got through, I was really relieved initially as it was an anxious wait between achieving the qualifying standard and being selected. But overall it was a feeling of enormous happiness that, as clichéd as it sounds, a life-long dream had come true. In order to be a good athlete, you need to be highly motivated, dedicated, very disciplined and extremely organised because you must prepare in advance to make sure that everything works according to plan. These characteristics are similar to those needed to be a successful tax adviser." • Iain Mackay, PwC UK: hockey. Iain has secured a place on the Great Britain hockey squad. He joined the UK firm in 2009 straight from university and is an associate in the referred accounting practice. 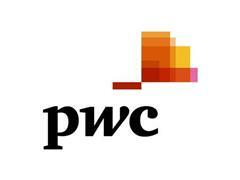 Says Iain: "The support I have received from PwC has been great. Hockey is a team sport so you can't organise your training around your work schedule because you need to train with the rest of the team (as well as alone). Since my first international game, I have been able to gradually reduce my working time: first from five to three days a week and then to two days a week. PwC has also allowed me to move from the London to the Reading office so I could take part in all our hockey training sessions. When my sporting career ends, I'd like to fully focus on a career in business and being able to do both now will give me an advantage later." • Shimpei Oikawa and Reo Fujimoto, PwC Japan: wheelchair basketball. Shimpei is the assistant coach of Japan's national wheelchair basketball team taking part in the London Paralympic Games. His PwC colleague and fellow player – Reo Fujimoto – will join him to represent Japan at the Games. Shimpei is living proof that when you work hard and don't give up, anything is possible. The senior associate with PwC's Japan firm battled against cancer as a teenager and lost a limb – but he didn't let this stop him achieving his dreams. Says Shimpei: "When I was 16 years old, I developed cancer on my knee (Osteosarcoma). The cancer spread to my lungs and I was hospitalised for five years. I almost died; it was a life and death situation. Eventually, my right leg had to be amputated. That's why I got into this great sport of wheelchair basketball. My motivation? I will do my best as long as I live. Training for and competing in the Paralympics are ways of keeping me alive." "We are proud to have five PwC athletes taking part in the London Olympic and Paralympic Games. At PwC, we strive to give all our people the opportunity to realise their ambitions – be it professional or personal. I am delighted that our five colleagues have realised their sporting dreams."